I need to post it now now now! It’s not that meringues are my favourite. No, not at all. Especially a heap of cream is not something I am crazy about but… But! Chocolate Pavlova is just great! It won my taste buds right away! 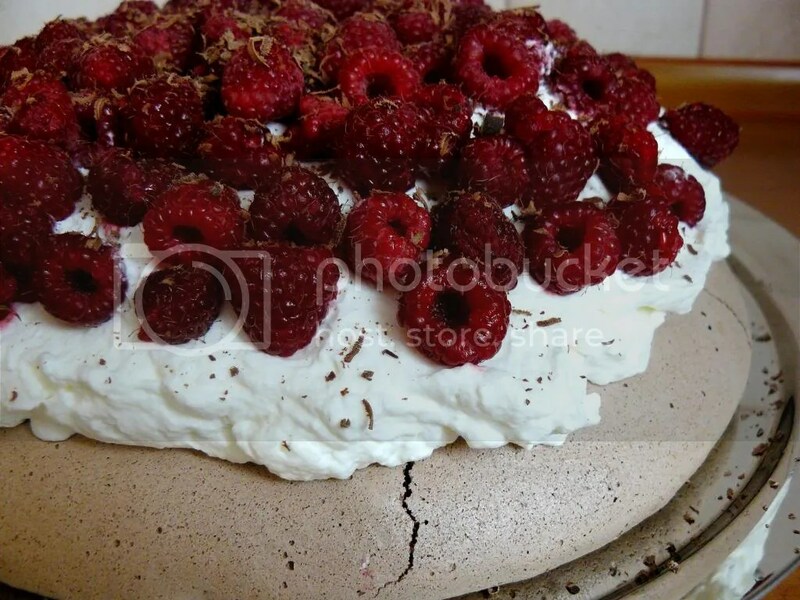 Meringue is sweet because well… it’s a meringue ;P Raspberries give sourness -> Perfect Combination! The recipe comes from the well-known Nigella.